So, I had prints made from the negatives and did a little digging. I found the iconic images and drawings of Slocum and Spray online, but none that matched what we had. Ted Jones, the Commodore of the Joshua Slocum Society International, could not confirm that the photos had never been published before, but he did say that he’d never seen them before. Several other Slocum sources yielded similar answers. I can’t say for sure that these photos have “never been seen before,” but the fact that we found negatives rather than a collection of prints lead me to believe that it very well could be. But as I continued to look for clues in the 100-year-old photos, I realized I was missing the point. For me, they are simply a gift that helps me remember my connection to my wife’s grandmother who I loved (Virginia has since passed away), and to Slocum, who inspired me to get in way over my head, and survive, during my adventurous youth. So, I hope these photos help the memory of Slocum come alive and inspire you to go on an adventure just as much as they do for me. And talk about a disruptive! 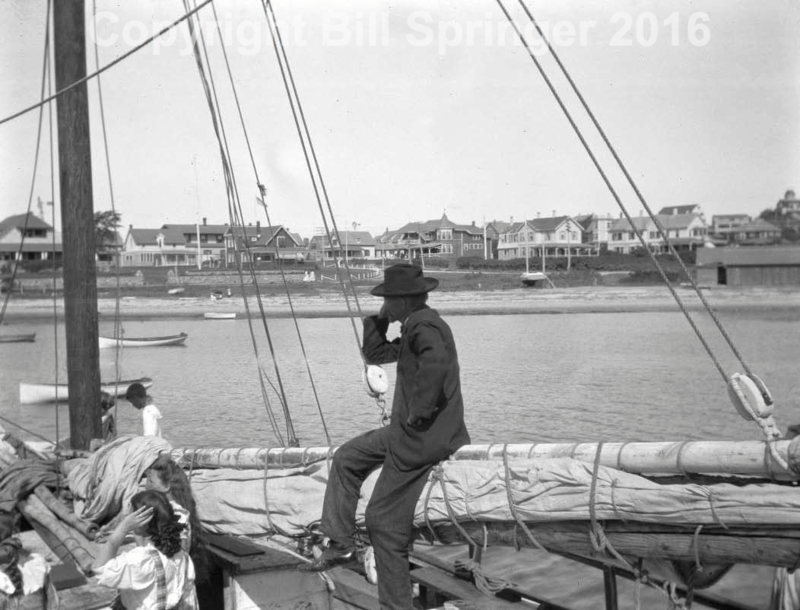 Slocum and Spray define the term and have been inspiring generations of long distance sailors to sail over the horizon for over 100 years. Really neat photos and story. The leading photo in the article is also on wikipedia. How did that happen? Thanks for the kind words and the heads up on wikipedia. Don’t know how that happened but I’m gonna check. I have Joshua Slocum’s book on audio and saved onto my car’s hard drive. I like to listen to it during long drives and it has influenced me to consider taking sailing lessons, buy a boat and hopefully sail around the world someday. Thank you for sharing those awesome pictures!! 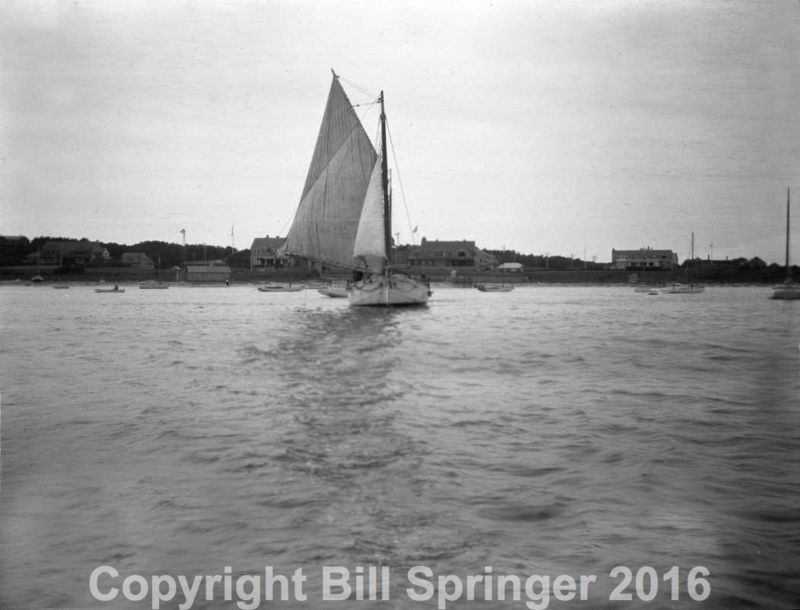 I live in Hyannis Port my father is a great admirer of Joshua Slocum. 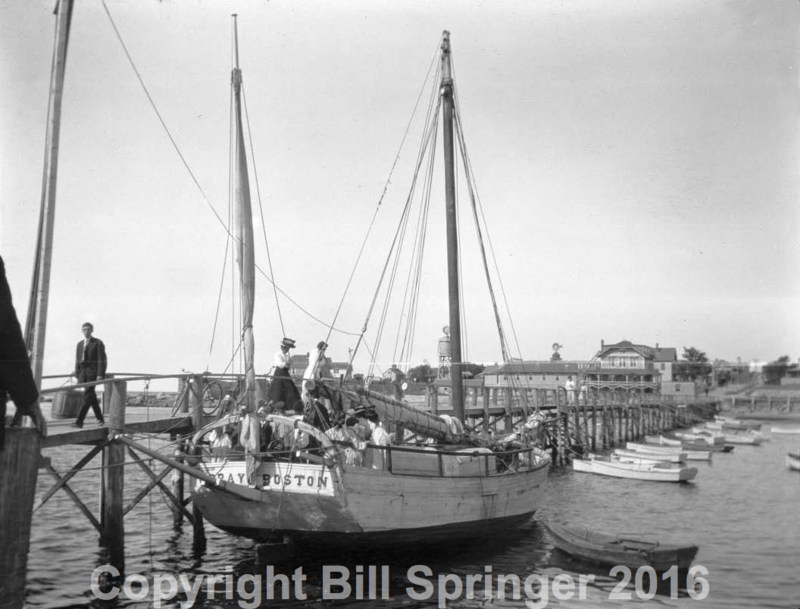 I am doing a Shutterfly book on old Hyannis Port and would love to add these images to it. I’d love to share them with you. Feel free to grab the high rez shots from the site (and send me an email if you need higher). All I ask is that you credit Virginia Horne (and maybe even my story of how they came to light) as the source of the photos. And of course I hope to meet you (and see the book) in HP this summer. Lovely collection of heirloom photos and family history you have shared. What a treat…Joshuas’ stories whetted my youthful appetite for many years of sailing between the Great Lakes and the windwards…seeing these rare moments delighted my senses. I just read Joshua book, in the photo of the spray, take a look at his dingy, its the 1/2 dory he used to have on deck. Wounderful photos! I’m glad you took the time to post them!!! Photo 2, Joshua, ahead of his time. Nonchalantly sitting on the boom, chatting on the mobile, making a few final deals with sponsors before heading off. Ha. Good evening Bill, I am the great great great grandson of Joshua Slocum. I have not seen this page before today. I was very exicited to see something new on Joshua. Would it be possible to get copies of these? This is Bagis Bilir from Motor Boat & Yachting (Turkey) magazine. We would like to publish an article about Josh Slocum in our forthcoming issue and very much appreciate it if we could use one or two of your photos for the article. 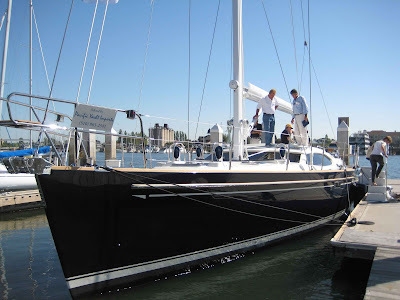 for your infos there is a web site about the Spray , Slocum and someone who sailed around the world twice with a Spray replica, the most exact replica. I have a magazine about marine tourism called Seaway and there’s a section in the magazine for new published books. In this issue i’ll promote Slocum’s book. It just published in Turkish. Would you give me permission for one of this great photos for my magazine?